Tietze Park was my neighborhood park growing up — it’s where I learned to swim and got sunburned every summer because I stayed there so long. It straddles 75206 and 75214, in that area that’s not quite Lower Greenville, not quite M Streets, and not quite Lakewood. It’s on Skillman, bordered by Llano and Vanderbilt. You’ve probably seen the famous tree at the Vanderbilt corner. And you’ve probably jokingly referred to it as “Tsetse” Park while suppressing a power-of-suggestion sleeping-sickness-inspired yawn (like right now). It’s a cute little park, with wonderful WPA touches. 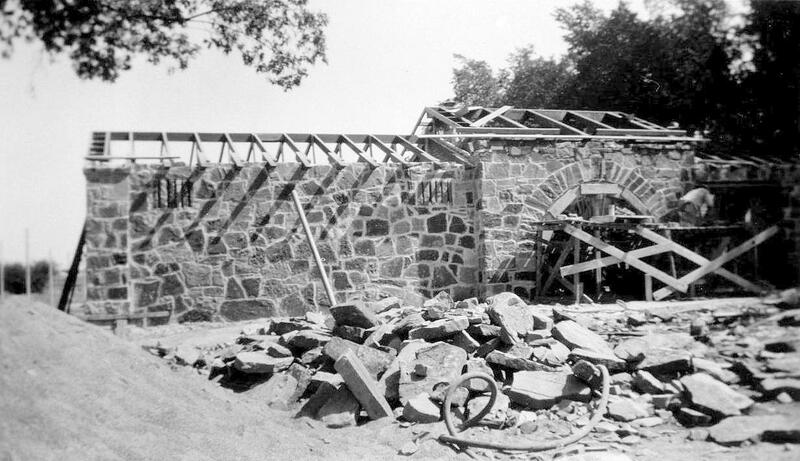 Here are photos from 1946 of some repair work being done on the stone buildings and construction of a new pool. It looks pretty much the same today. To see a photo of what the pavilion looks like today, check out a great photo by Sarah Whittaker from CultureMap, here. 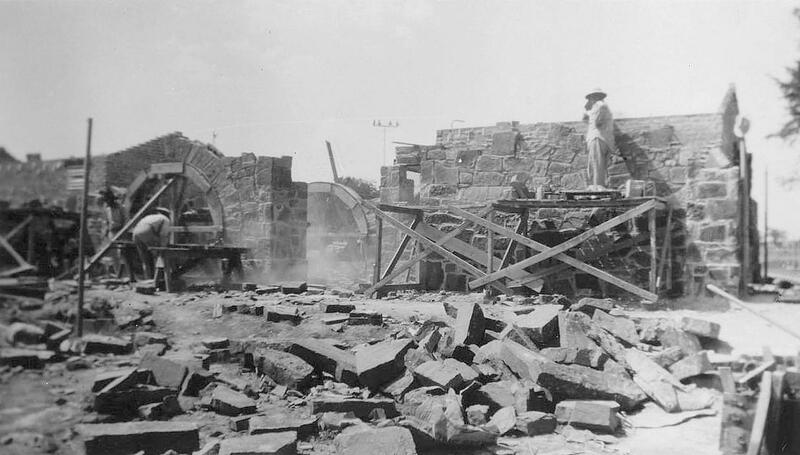 Photos from the Dallas Municipal Archives, accessed through the Portal to Texas History site. 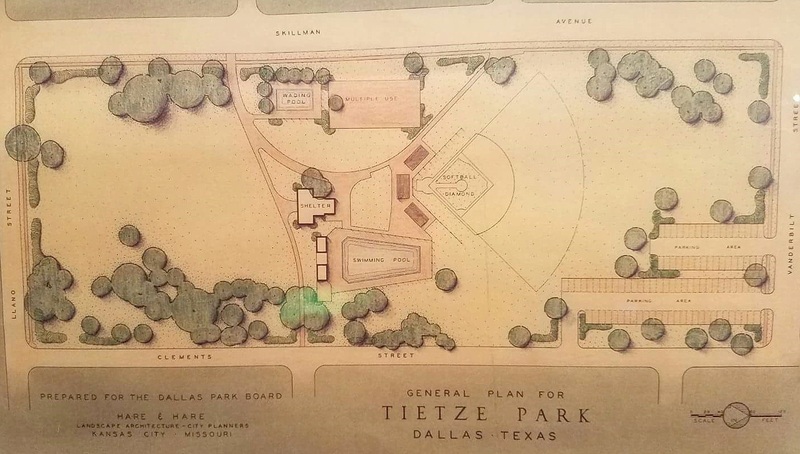 A history of the park — which started out as “Keith Park” in 1924 but was re-named in 1934 in honor of William R. Tietze, former Parks Department superintendent — can be found on the Friends of Tietze Park Foundation website here. 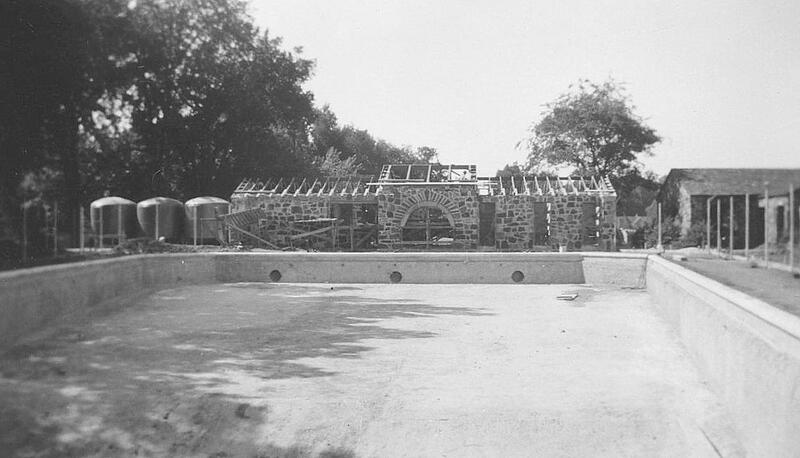 A nostalgic look back at the park can be found in the Lakewood Advocate article “Memories of Tietze Park Pool” by Patti Vinson, here. We lived on Palo Pinto st and my brother and friends would go to “Llano park” to swim. Took swimming lessons there. We would stay sometimes 3 or hours there. We also would play paddle ball inside the adjoining stone pavilion. We always took our dog, “Billie”. He would hang around outside the pool waiting for us to go home. Back then all dogs were friendly. He sure was. Played on several little league ball teams on the baseball field during the days and at night. It was a lighted field. It was a great park to have growing up..